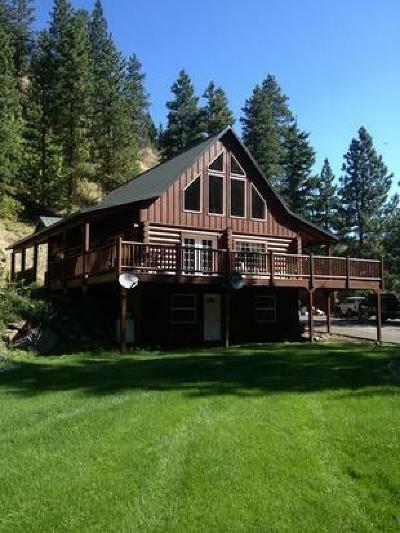 Picture perfect log home on 19.55 acres. Built in 2007 this home features a vaulted ceiling, picture windows and beautiful wood beams through out the home. Sitting amid mature trees and wildlife this 2,608 sq ft home has main living area, full walk out basement and a loft. Covered carport with large detached garage/shop with loft for storage. Fire pit on slope above home. Would be a perfect location for a gazebo. Master Bedroom Room: Outside access to Master from the deck.